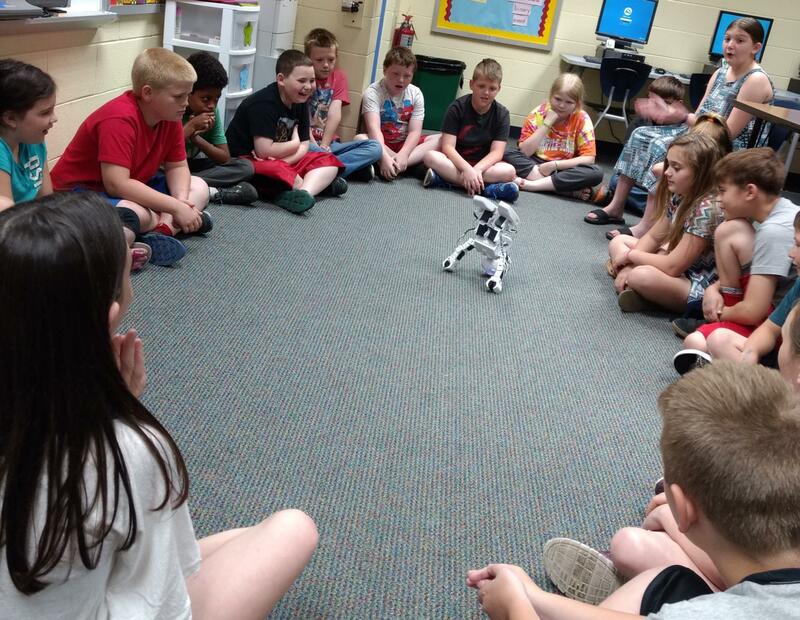 As part of their technology class, fourth graders recently enjoyed a demonstration of what Jay, the JD Revolution Humanoid Robot, could do! The OETC 2018 Team won Jay at the state tech conference in February and received training on programming Jay this spring. Jay can walk, see, hear, and interact with his surroundings. In the photo above, Jay is performing a headstand!